When I was in college, one of the affordable meal options popular among my fellow students was the Chinese Ngohiong place near the campus. The place is right across the Philippine Christian Gospel School along Junquera Street in Cebu City. When I started working at the University of Cebu, they expanded with a branch along Sanciangko Street. I found myself visiting the good old place recently. 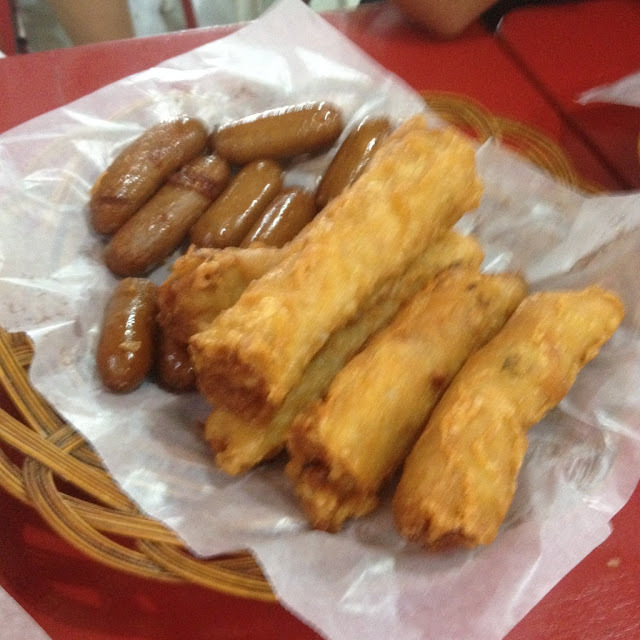 They are now also selling food items other than the classic ngohiong. What's For Sale at the Chinese Ngohiong Store? Of course, the familiar Chinese ngohiong is still there. It is selling at PhP 7 per piece. Other items they were selling include fried chicken, fried chicken gizzard, fried chicken liver, fried longganiza, siomai, ginabut or fried pork intestine, and tawperol or fried fish and pork sausage. 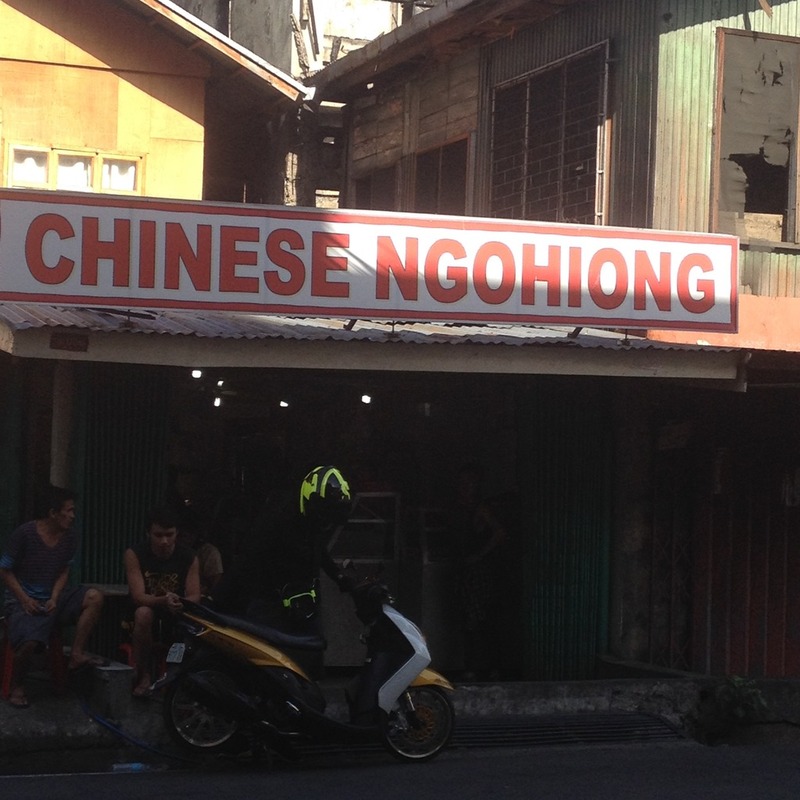 There are now many other places in Cebu that serve ngohiong to customers. Not one has quite copied the recipe from the Chinese ngohiong place that I used to eat at during my college days. Like it's taste, the ambiance at the place have not also changed much. It has remained humble. It still focuses on just having simple tables that customers can sit and dine at. They have little or no regard for interior design and decoration. Despite this, one would still notice that this is still a local favorite. Many people flock and queue here in the late afternoon to get their fix of the delicious ngohiong. This humble place has also survived many challenges including a major fire in recent years. From time to time, we still order the ngohiong from this place. We know there are still no better ngohiong places in Cebu. Hopefully, I will still see this five years from now upon my return from the United States. 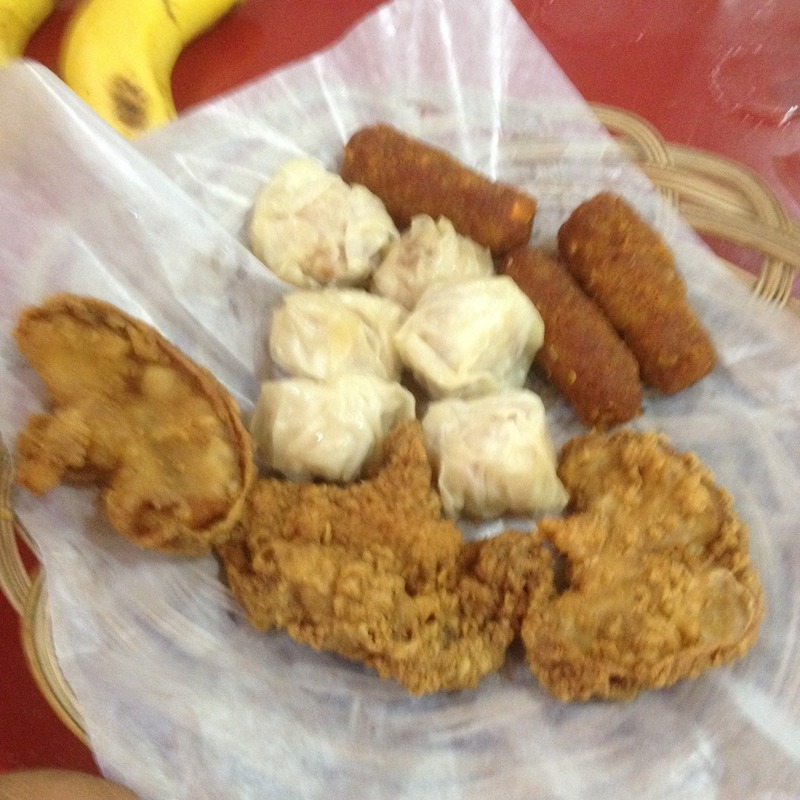 Have you tried eating at this hole in the wall place? You may tell us about your experience in the comments section below.